When asked, “How could I generate more leads for my business?“, my answer is always the same. Start a blog – that’s the best way to get more traffic, leads, and sales. Blogging CAN and WILL play a huge role in your overall business growth. However, there are many questions and concerns about blogging that often hold people back. HOW does blogging help with lead generation? Will blogging indeed help increase their search engine rankings? Will the time and effort they invest into running a blog ultimately pay off? Will it REALLY translate into money in their pocket? To answer them, I will need some help from The State of Inbound Lead Generation study by HubSpot. After analyzing 1,400 companies, the study shows a direct correlation between how many blog pages are indexed by Google and the amount of blog traffic a site gets. As a matter of fact, increasing your pages by 50-100 can bring as high as DOUBLE DIGIT blog traffic GROWTH. The graph below shows that traffic generation jumps significantly once a site achieves 300+ indexed pages. It’s quite evident that the more blog posts, which make up “pages” in your blog, you create and get indexed, the more blog traffic you’ll get, and the more business leads and money you will ultimately generate. As simple as that. How do you generate a large number of indexed pages? I wouldn’t recommend every day (quality over quantity! ), but 1-3 times per week is a good goal. Content promotion is MORE important than content creation! 66% of the companies included in the research had a blog and they generated on average 67% more leads than companies without one. The graph below shows that once you write 24-51 posts, your blog traffic generation starts to grow. That’s probably how long it takes to build a blog with enough pages to get indexed by Google and attract links from other sites as well as visitors. So, blogs can help marketers attract traffic and leads quickly, and marketers who are choosing NOT to start blogs are simply leaving the traffic for their competition. Also, the higher post count showed 77% higher lead generation than the lower count. Blogging works to generate traffic and leads. The more you blog, the more blog traffic you get. So, Why Do You Need to Start a Blog? It’s much easier to grow a number of indexed pages through a blog vs a website – a very important factor in how much traffic you will eventually generate. Blogs have a tremendous capacity to increase the number of keywords you rank for. The more keywords, the more traffic! Link building opportunity: other sites are much more likely to link to you if you provide interesting and fresh content on a regular basis. Recycle traffic: blogs give visitors a reason to come back again and again – it’s much less expensive to keep an existing customer than generate a new one! Bottom line: blogging is your best chance to generate traffic, convert it into leads, then customers. BAR NONE. How Did This Blog Kick-Start My Business Success? I, too, started blogging without having the slightest idea HOW to do it. ??? no clue what to write about or HOW to write a blog post. no idea how to drive traffic! In the end, I had to redo a LOT things on my blog, including deleting a few early blog posts which were far from being great. I started this blog on the right platform – self-hosted WordPress. I used resources like ODesk.com, GetAFreelancer.com to inexpensively do some tweaking with the plugins, themes, and such until I learned how to do it myself. I read other blogs DAILY to see what they were doing, what ideas I could adapt on my blog, and what to avoid. Got some great inspiration this way! I found the tools to help me make my blog better. You can find the internet marketing tools I use here. This blog is much more niche now: Traffic Generation, as opposed to a little bit of everything ?. The design is updated every 1-2 years to keep up with the current trends. Quality over quantity all the way, baby – whether it’s my blog post or social media or my ‘everywhere’ presence… ahem! everywhere. Blog traffic? My Alexa traffic ranking (not that you should pay too much attention to it) went from some 8 million to low 300,000 as of the writing of this post***. In a matter of 3 weeks. My lead generation? Started with a lead (optin to my email list) every other day or three days to dozens on a daily basis. You should join my awesome Traffic Hackers and see my blogging lead generation firsthand! UPDATE: Yep!  Traffic Generation Café has lived to see YEARS since I wrote this blog post. It only goes to show that blogging does work – to support your primary business or as a stand-alone business model. Welcome to Traffic Generation Cafe, Lenia. Thanks for all the value you share here. I definitely agree that blogging is something that would really boost our lead generation campaigns. Not only will we be able to express our knowledge on a subject, but also we will be able to build long and lasting relationships with people we are wishing to work with. It definitely can brand us a whole lot better than a faceless static website, Nadine. I was just surfing around Google to look for some advice on how to increase the traffic for my blog and suddenly I came across your site. By reading some of your posts, I’ve learn a lot of things that I need to. So, I really wanted to thank you for sharing such insightful and informative posts! I’m looking forward to read your next post and I’m sure it will be still thought-provoking. Kudos to you Ana!! Well thank you and welcome to my site, Mia! Always nice to hear that someone could benefit from my posts.